Cricket was first played in Japan in 1868 when a group of English merchants living in Yokohama founded the Yokohama Cricket Club, playing their matches on what eventually became the Yokohama Stadium. The club, now known as the Yokohama Country & Athletic Club, still plays cricket today. Currently almost all cricket in South Kanto is played at the YC&AC ground. The ground consists of a synthetic surface on which a flicx pitch is placed. In 2016 the YC&AC have plans to purchase a new upgraded flicx pitch, which will be more “player-friendly”. The YC&AC are also in planning to create a new practice facility that cricketers of all ages can use to develop their skills. Facilities for players and spectators at YC&AC are excellent. There is adequate shade as well as toilets, change rooms, showers and a sports bar, which means teams usually have a great experience when visiting. The South Kanto Super Kings are the representative team for the region and are competing in the Japan Premier League this year. Junior Cricket is in the development stages in South Kanto. 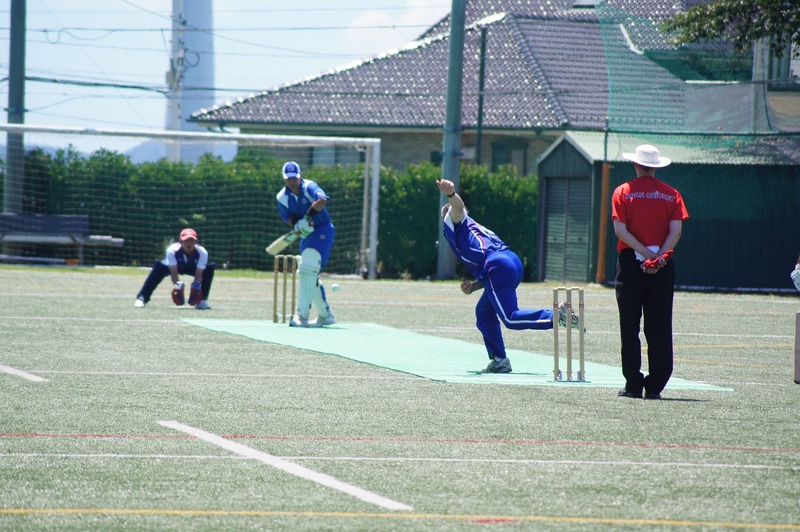 Although there have been junior activities for some time, junior cricket in South Kanto made great progress in 2015 with the inaugural Cricket Blast series held at the YC&AC as well as a regional U12 competition. Many kids from local schools, both Japanese and international, joined the program, which was a success in its initial year. There are plans to start a junior cricket team at the YC&AC in 2016 for primary school through to high school age kids. The Japan Cup South Kanto competition has been held at YC&AC for a number of years and is the most popular Japan Cup regional league in Japan. This year’s competition sees seven teams fighting it out for a place in the national finals. The Cricket Blast is in full swing at the YC&AC in 2016. Blast days are once a month and are scheduled before Japan Cup matches. The new junior club in South Kanto will be seeking volunteer coaches, managers, umpires and scorers so if you live in the area and are interested in helping out, please contact.